"Padraig is a world class player who consistently exhibits drive and commitment on a truly global level," said Ryan Dotters, CEO of Full Swing Golf. “Harrington has been a key contributor to growing the game internationally and we are thrilled to be working with him," Dotters added. Harrington said: "Full Swings Golf technology is an absolute game changer for me and my practice routine. “Golf has changed so much in the past two decades, and with indoor technology making golf more accessible, I'm very pleased to partner with Full Swing and help grow the game around the world." Harrington will be supporting the brand through various marketing initiatives and accompanies Full Swing Golf's roster of professional sports clients from the NFL, NBA and MLB. Specifically, he joins a team of global golf ambassadors that includes Tiger Woods, Mark Wilson, Hunter Mahan, Bill Haas and world number one, Jordan Spieth. "Full Swing Golf is a San Diego based company specialising in cutting edge golf simulation technology. The technology features state of the art ball tracking and offers clients 93 Championship Courses. Full Swing Golf, found in over 60 countries worldwide which optimizes the player's experience with its real time environment. The technology can be found in the home of PGA TOUR Player’s including Jordan Spieth, Bill Haas, Hunter Mahan, Mark Wilson and Tiger Woods." Padraig Harrington has signed a four-year deal to represent an American course as its touring professional. The Dubliner, 35, will represent the partly Irish-owned White Oak Plantation in North Carolina and he revealed that he is building a house on the course which will serve as his US base when he plays on the PGA Tour. 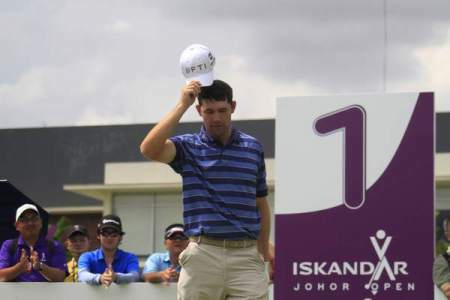 Padraig Harrington will no longer sport the FtI log on his cap as he chases world ranking points early this season. Photo Eoin Clarke/www.golffile.iePadraig Harrington is on the look out for world ranking points and a major new sponsor after losing his $10m deal with FTI Consulting. 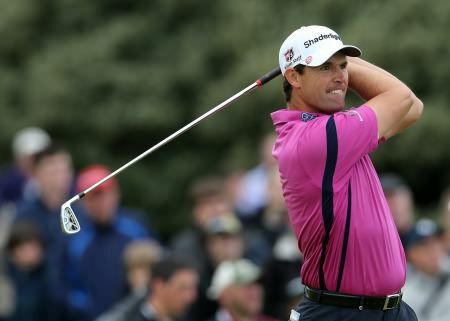 Padraig Harrington lets rip with a Wilson clubIt appears that Padraig Harrington - or Wilson - did enough this year to merit a “multi-year” contract renewal.